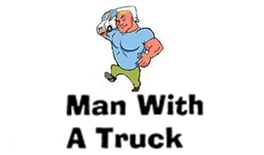 Why you should use Man With A Truck? Whether you’re moving your entire home, or just a few items ” it’s no overstatement that your choice of removalist will have a lasting impact on your life. Scratches, dents and cracks inflicted on your furniture by careless removalists remain long after moving day is over. Not to mention the loss of irreplaceable or priceless possessions. Man With A Truck have trucks in a variety of sizes – which means we’ve got vehicles large enough to move ANY furniture! Whether you’re moving a few items around Richmond, or relocating your whole household or office across Melbourne – Man With A Truck have the right size of truck to suit your requirements. 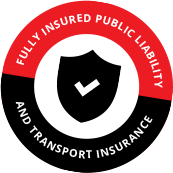 What’s more, our trucks are specially designed to transport furniture – so you’re confident that your valuables will get to their destination in one piece. Tell Man With A Truck how much – or how little -you want us to help. And easily control how much you spend. Simply relax and leave it all up to Man With A Truck removalist (at a very reasonable price), or arrange anything in between.Whatever you decide, you’re sure to feel good about the price – because you only pay for the time that you need! man with a truck help on the day? We’ll be there for as long as you need Man With A Truck to – we’re flexible enough to work around YOU. Man With A Truck removalist happily assemble beds, hang pictures or do anything else you need on the day – so you’re settled in quickly and getting on with life!